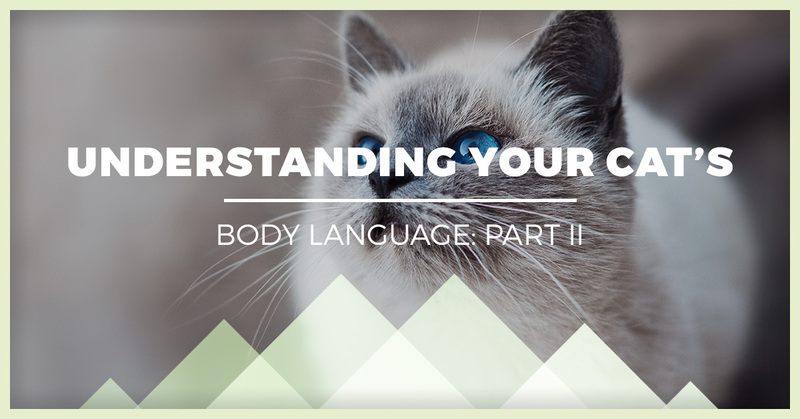 Welcome to part two of our blog series about understanding cat body language! In this post, we’ll take a look at how to understand how cats communicate with their tails. Tail pointed up: If your cat is on four legs and their tail is pointing straight up (often with an ever so slight curve on the end), this is usually a sign of a happy, content cat. Tail lowered down: This again applies to cats on four legs. If their tail is lower, pointed either down or horizontal, your cat might be in a more cautious or defensive mood. However, some cats prefer to hang their tails low all the time, so long-term observation is helpful here. Tail between legs: Your cat usually doesn’t have a reason to put their tail between their legs unless they’re feeling legitimately anxious or fearful. If your cat is doing this, you need to find out what’s causing their anxiety, because there is probably something nearby that’s having this effect. Fluffy “Halloween” Tail: Most people have an understanding of this type of tail. When a cat puffs up their tail and arches their back, it’s a defense mechanism where they’re trying to look bigger than they are to scare off threats. 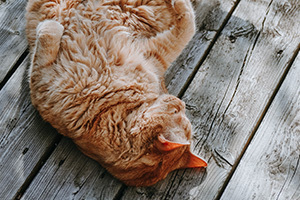 You generally shouldn’t approach your cat straightaway under these conditions — they’re highly stressed and could lash out at any attention they’re not prepared to receive. Tails can also puff up when something nearby spooks them, such as an unexpected loud noise. Tail sitting still: A cat whose tail is completely relaxed is a cat that’s feeling very tired and safe. Cats are usually moving their tails at any given moment, so if has no motion at all, your cat is in their most zen mode, and most likely welcome to soft pets. Tail gently moving: For many cats who are sitting or laying, this is their baseline state. Their tail isn’t moving around enough to demonstrate annoyance, but they’re also awake and alert enough to be moving it around. This is also a sign that they might be feeling playful and mischievous, so don’t be surprised if you get a surprise pounce from your kitty. Laugh it up, fuzzball. Tail whipping and slapping around: Finally, there’s the “out-of-control” tail, where it’s whipping about as if your cat is consciously putting all of their efforts into hitting their surroundings as hard as possible. A tail that’s flipping, whipping, or thrashing is usually the sign of an annoyed or irritated cat. Usually, they’re not in enough of a sour mood to provoke aggression, but don’t make any assumptions. And there you have it — by understanding these signs, you can keep your cat happier and healthier. However, for long-term care, there’s nothing that’s more helpful than taking your cat in for veterinary checkups, even if there are no clear symptoms that something is wrong. At Rancho Regional Animal Hospital in Rancho Cucamonga, we would happy to take a look at your kitty. 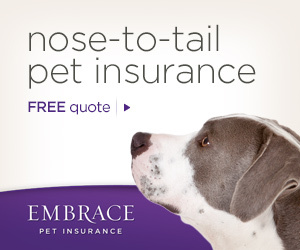 Contact us today to set up an appointment!